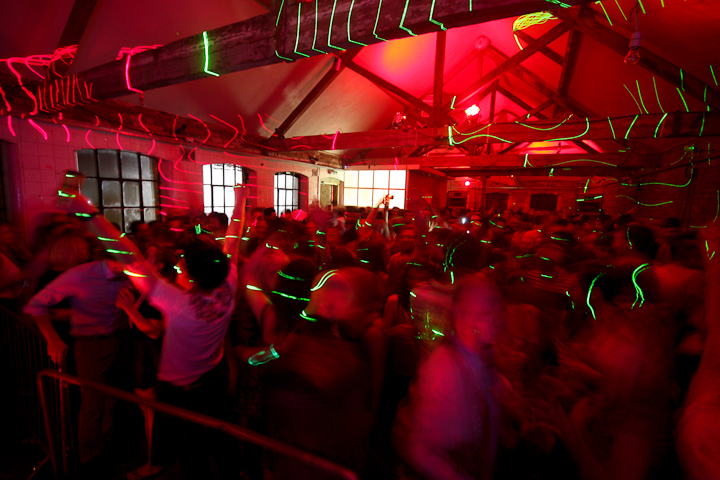 The brainchild of promoter Derren Smart, A Night With… kicked off in March 2010 and its previous guests have included Derrick Carter, Andrew Weatherall and Soul Clap. I was guest #22, which just happens to be the perfect number for me, so the omens were good. I’d originally been booked to play at Basing House in Shoreditch, but when, a month ahead of the event, the night had completely sold out, Derren suggested we move it to Loft Studios, which could house an extra 150 people. It was a dilemma, for on the one hand it seemed the obvious thing to do, given that a load of people were now contacting me direct, frantically trying to track down tickets, whilst, on the other, it would mean that the event would now be held in another part of the city, which could piss off those who are more local to Shoreditch and don’t like to venture further afield. I mulled it over for a couple of days, and talked it through with Matt, before deciding that, given it was such a unique event, enabling more people to attend outweighed the option of staying put at Basing House. Derren informed everyone who’d bought tickets that, if they weren’t into the change of venue, he’d refund their money, but, thankfully, only a handful of people took him up on his offer. It definitely turned out to be the right decision – as some people who usually stay close to Shoreditch told me, it was extra special for them because it had been a bit of an adventure, taking them out of their comfort zone – this added to experience, they said. 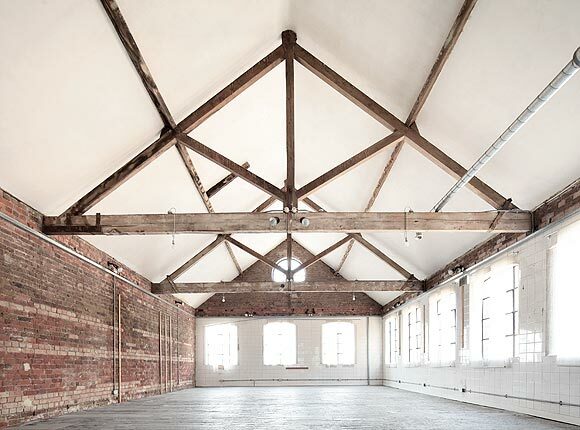 The space itself is excellent – a perfect party environment. Ahead of the event I did an interview for The Ransom Note, explaining my intention to approach the session as 2×4 hour halves. 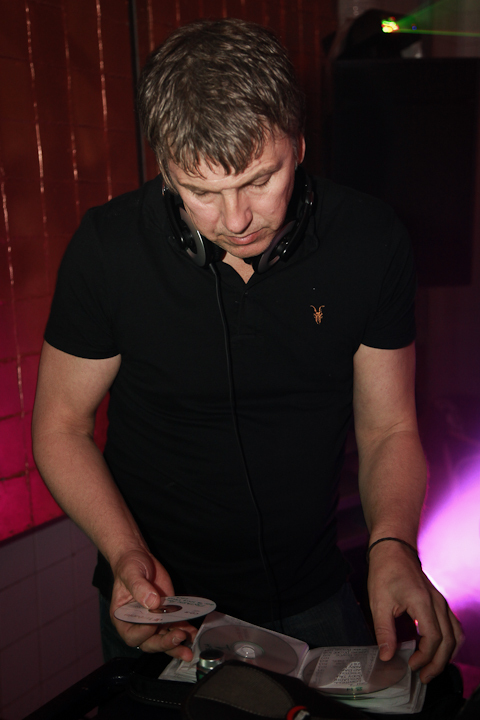 I told them that ‘the first half will be a selection of tunes I played during my original years as a DJ (1975-1984), the second being tracks I’ve played since my DJ return, covering a similar period of time (2003 to date) to give proceedings a certain symmetry.’ That’s the past / present balance I’m always looking, and now the idea had solidified it was just a matter of preparation, getting a load of the older tunes into a coherent quick reference order on CD (I switched from PCDJ on the laptop to CDJ2000s earlier this year), to give myself plenty of options on the night. It ended up being a bigger job than I’d anticipated, as these things often are, and, following my friends‘ wedding on the previous Saturday (shout out to Dan & Naomi), I hardly had a spare minute before the weekend was upon me and I was off to Brighton for my Friday booking at the Disco Deviant party, coincidently at The Loft (fate had decreed it a Loft weekender for me, and Brighton, always a favourite destination, set things up nicely before I went the longer distance in London). All the extra effort proved worthwhile and I was able to enjoy the experience to the full, knowing I was armed with the full span of music I wanted to represent. It was a magical night for me, it felt like my birthday or something – the 8 hours (not forgetting the additional 20 ‘one more tune’ minutes tagged on at the end) passed far too quickly – time flies when you’re having fun. It seemed like everyone else did as well, the room still packed when the house lights were switched on just before the music stopped (aptly, as things subsequently transpired, the Soulwax mix of ‘You Can’t Always Get What You Want’ by The Rolling Stones concluding proceedings). It was undoubtedly one of the highlights since I returned to the clubs in 2003 – thanks to all who shared the trip with me. I didn’t get much sleep that morning before heading back up North, but I hardly felt the tiredness as I was still in full-on buzz mode. When I got back home I went straight into my studio to upload the recording I’d made, at which point my parade well was and truly rained on. I was horrified to find that the levels had completely overloaded, sections of the mix an inaudible mess of distorted sound – there was no way I could salvage even part of it. I’d been having some recording gremlins of late, hence why I wanted to listen back at the earliest opportunity. A few weeks ago when I played at the Mint Festival in Leeds the recording only came out on one channel. I’d put this down to the mixer I was using (not my own), presuming that there was a fault on the input, but when I played in Brighton I uploaded the recording to my computer once I got back to the hotel, as I needed to free up time on my SD card to make sure I had enough room for the whole 8 hours, and I was somewhat disturbed to discover, once again, that only one side of the stereo had recorded. So, before heading to London, I stopped off at Maplin to pick up a new lead, hoping that this was the problem rather than the device itself, whilst I arranged to get to the venue a bit earlier so I could do a test well ahead of 10.00pm, when the night kicked off. Fortunately it turned out that the old lead was indeed faulty, so everything was set and ready, and I could relax, knowing all was apparently in order. I don’t always record myself, and there’ve been previous occasions when the recording hasn’t come out properly, but I can generally put this down to one of those things / it wasn’t meant to be, with the next chance to record only a week or two away. However, this night was a real one-off, where I was taking a totally different approach to things in those first 4 hours – as I explained in the lead up to the event, I’d be drawing from my original DJ years, taking in ‘Soul, Funk, Disco, Jazz-Funk and Electro-Funk, the main genres I was associated with back then’ (I also managed to slip in a touch of Reggae), and that, given this connection to the past, things wouldn’t ‘unfold in a linear sense, from downtempo gradually building upwards through the bpm range, but, instead, it’ll be more like it used to be, with greater fluctuation.’ So, to realise the recording was ruined was an absolute sickener, which brought me down like a ton of bricks from the cloud I’d been floating on. I felt I’d be letting everybody down – so many people, a number of whom live a continent away (so were obviously unable to make it in person) emailed to ask if it would be recorded, which I assured them it would, and now I was going to have to tell them all I’d fucked up (in my relief at solving the stereo problem I’d taken my eye off the ball and hadn’t thought to check the levels going into the Zoom H2 unit I use). For about half an hour I sat there shell-shocked and sick to the stomach, but then a partial solution occurred to me. There was nothing I could do about the second half of the night, that was a complete write-off, but I realised that it was possible for me to recreate the first 4 hours. The fact that I hadn’t used the Revox during this time, holding it back for the final 4 hours, when I approached things in exactly the same way as I did for any normal gig (just longer), spinning in random sounds and effects, the type of things that are totally spur of the moment and would be pretty much impossible to replicate with any sort of precision (unless you painstakingly reconstructed everything a brick at a time, which would take forever). Doing something live is spontaneous, but trying to repeat that when there are additional elements to consider, peppered throughout, would make something that took you 4 hours to do live take more like 4 days to get even close to. So, in ordinary circumstances, the whole thing would have been unsalvageable, but I’d prepared in an extraordinary way, approaching those first 4 hours from a completely different angle. I didn’t include any re-edits, just stayed with the versions I originally played during ‘75-’84. This had presented a problem when I initially fixed on the idea, as throughout the majority of that period, as was the way with British DJs back then, I used the microphone to link between records, and, whilst I wanted the music to be authentic, there are some things better left in the past. From a mixing perspective, a lot of these records were hardly DJ friendly – the only type of mix possible being a straight chop from one to the next. With this in mind I did a bit of preparation beforehand, cutting the tracks to the length I was going to play them, so that on the night I could jigsaw things together live by mainly chopping between them – this pre-planning enabling me greater spontaneity for when I was in the flow of the night. By the nature of what I was doing I knew that, as I stated, there’d be ‘greater fluctuation’, but I still wanted to make things flow, albeit jaggedly at times, as best I could. The fact that I’d approached it this way is precisely what saved the day when it came to this mix – it turned out to be totally fortuitous, a very happy accident. Knowing it was something of a puzzle that could be put back together again I immediately set about the process of rebuilding it piece by piece – I couldn’t settle until the whole 4 hours was as it was. And now here it is – 50 tracks in all, all jigsawed into place, transition for transition, and evoking, for me, fond memories of the Chelsea Reach, the Penny Farthing, the Golden Guinea, Wigan Pier and Legend, the 5 clubs where I put in my most DJ hours (every night was ‘A Night With’ back then, generally a 5 hour shift from 9.00pm-2.00am, this being the normal club opening hours in most parts of the UK in those days). 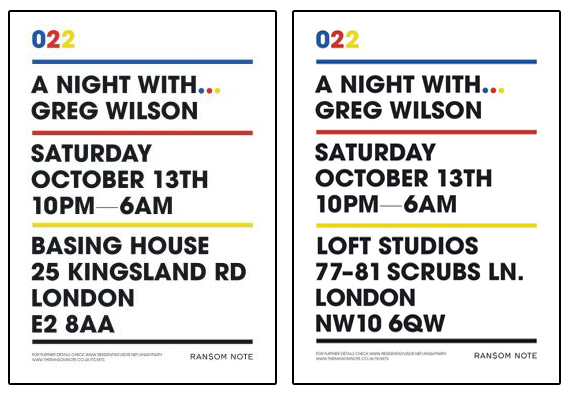 A selection of records spanning 18 years, linked together in fresh juxtaposition via 4 hours on an October night in North-West London. Well, we were some of the East Enders who were annoyed that the gig had moved to NW10. Fortunately you’re one of very few DJs we’d trek west for. Luckily we had friends to babysit overnight as paying one by the hour with two extra hours to cover the travel each way plus £70 in cabs would’ve made it a ridiculously expensive ‘adventure’. We all had such an unforgettable night that I will consider the cab fare an investment. Grateful for the Soundcloud downloads and the blog updates! Hey Greg, I’m surprised you are using such unsophisticated hardware to record your mixes!!!! 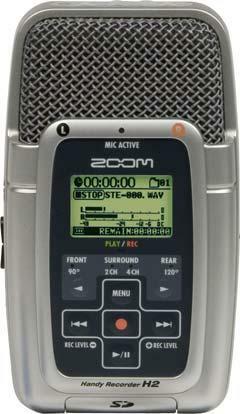 I had one if those zooms but hated the way you had to press record twice …. Once to set levels and then again to actually start recording. The amount of recordings I thought I was making but missed !!! I now use the mk2 much more user friendly !!! I’ll bear that in mind Ian, but the H2 has served me well, despite, as you point out, being a bit fiddly – it’s human error, rather than the fault of the unit, that’s caused me any previous problems. The majority of live mixes I have on SoundCloud were captured with the H2, so I can’t knock it. Greg it was an absolute beast of a night, been wanting to see you in action for ages after hearing your mixes a few years ago. Made the trip over from Dublin and went with about 10 friends. Completely unforgettable night, I didn’t stop dancing from start to finish. Legends don’t always live up to expectations but this night proved that theory wrong. Will the photos from the night be put up in some format soon?? I ‘d say I was in a fair few seeing as I was front and center for most of the night. Or you can always rely on your sound engineer for proper recording 😉 It was an amazing night, Thanks. Don’t rub it in now George 😉 Big thanks to you and your Funktion One. Wicked night Greg – I did the “Loft” weekender, so did Brighton on the Friday night too. Thought I wouldn’t have the energy at my age to get up for the saturday night but your music never lets me down. It must have been hard work but it looked effortless. Just reinforces the view that if anyone was in any doubt – there was dance music before 87!! Take care and I hope to see you again soon. I’m sure you are aware of the Streetsounds 30th Anniversary coming up in November? should be a good night! Noooo, don’t get me wrong Greg, the zoom is a great piece of kit especially at the price infact, I would say they are better built than the mk2’s . It’s just that the mk2 takes away some of the room for human error for numpties like me !! Fantastic bit of curatorship, Greg! Very sad to have missed it – so the fact that you’ve put together the first half for us is great. I’m interested to know why you decided to switch from laptop to CDJs. Sound quality? And how did you find that return to the sligtly more ‘hands on’ approach? Hi Si: I was locked into a program called PCDJ, which had an external controller. It served me well since I started up again, but, with laptop, there’s always the chance it’s going to crash, which it did from time to time (I always had a CD ready as back up and carried a folder full in case of real emergency). Everyone told me that using a Mac would make things more stable, but PCDJ was designed, of course, for PC. There was a way around this (where part of the Mac is set up as a PC) , but it wasn’t ideal – I could have changed to a different program, like Serato, but that would have meant a whole new learning curve, which I didn’t have time for. Anyhow, I got the latest version of PCDJ installed (as Mac wouldn’t take the earlier one I was used to using), but I wasn’t able to change the font size of my playlists to what I was used to, for some weird reason the updated PCDJ didn’t enable this. This meant that I would have had to work wearing glasses, in order to see the screen properly, which was totally impractical. So I was basically stuck with my old unstable PC. I’d wanted to make the change before I headed off on my tour of Australia / New Zealand last February. Before I got there I stopped off for a gig in Hong Kong, but the booth was so small that there wasn’t enough room to fit my controller in front of the mixer, which is where it needs to be. There was nothing for it but to use CD instead. I’ve played from CD a few times here and there down the years, but I’ve never been totally comfortable with them, being an unfamiliar format for me – sometimes I’ve felt pretty fluid on them, but others really awkward, which is why I’d never considered them as an option. However, I totally changed my mind that night – I was using CDJ2000’s and they felt really good to use, the bpm display in fractions being particularly helpful for fine-tuning the mixes. I also discovered the best settings for me when using the jog wheel that night – this was the variable that had meant that I never felt confident using CD’s. Anyhow, when I got to Australia, I played at a festival in Perth. It was a scorching hot day and, after setting up my laptop, I realised that, with the gleam, it was going to be really difficult to see the screen. Given my HK experience I decided to use CDJ’s again instead. The DJ before me was set up on a separate table with CDJ2000’s, so I couldn’t use them, instead they set up an older pair. When I went on I instantly felt that awkwardness again – I just wasn’t confident of them. With the previous DJ now all packed up, I asked the engineer if he could switch me over to the 2000’s, which he did, and instantly I felt in the groove. After this I got my agent to arrange 2000’s for all my subsequent dates (bar one) on the tour, and before I headed back home I’d taken the decision that I was going to make the switch permanent. I haven’t looked back since. I’m still using CD’s at present, but when I get chance I’ll probably change to USB stick. All in all it makes things so much easier, especially with regards to travelling abroad, where cutting back on any XS is always a bonus. What a night that was… I only regret nipping out for ciggies and an endless stream of canned beer… Could have done without the barrier at the front – tried asking one of the blokes behind it for the italian gibberish tune and he looked at it me like i was out of my tiny mind… Which alas i was at the time i guess…. Lets all do it again next year eh?!? !